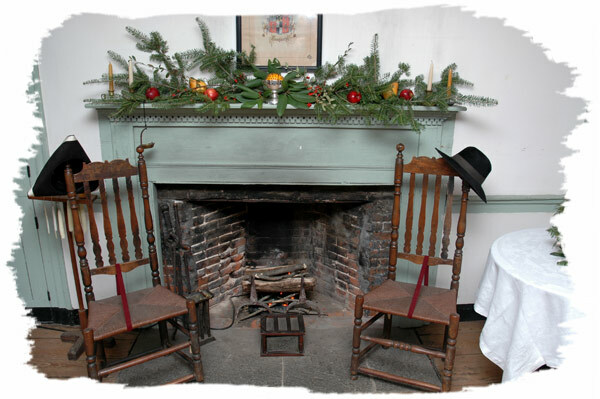 The Derby Historical Society its eighth annual Twelfth Night celebration on Sunday, January 7, at the David Humphreys House. Twelfth Night is an old holiday associated with the end of the Christmas season, best known by the song "The Twelve Days of Christmas". At this year's celebration, the clock was turned back to 1807 and the fireplaces throughout the house were ablaze and re-enactors portrayed real local residents from the period and demonstrated some of he skills practiced in those days. Despite the unseasonably bright and warm werather outside, it was a great day to enjoy the caroling, and partake of the refreshments, good company, and the warm, comforting fire of the hearth. Click here for more pictures of the day's activities.